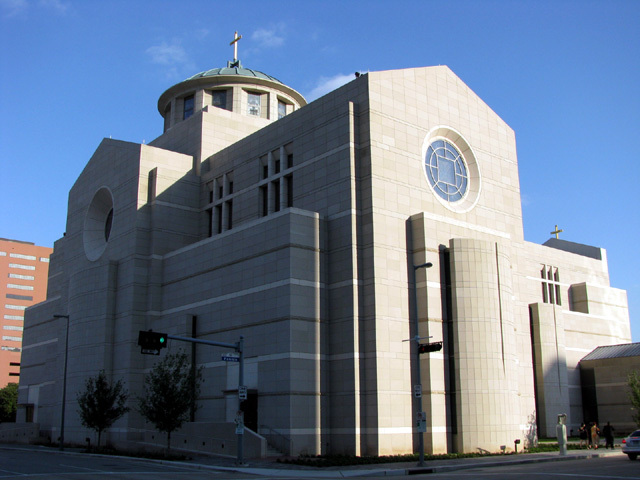 The award winning Co-Cathedral of the Sacred Heart is located in downtown Houston and offers a classic European cathedral design with a modern twist. 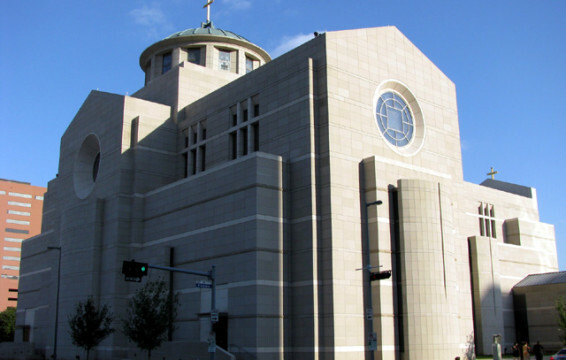 The $40 million building, which forms the shape of a cross, provides a central place of worship for up to 1,820 attendees, and serves 1.3 million Catholics in the 10 county area encompassing the Archdiocese of Galveston-Houston. 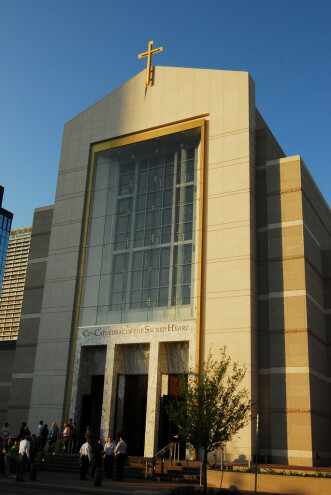 Exterior walls are made from limestone quarried in Indiana, and more than 30,000 square feet of marble line the interior floors. 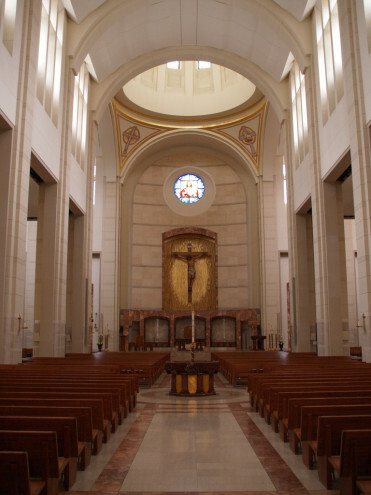 Both of these pale in comparison to the stunning stained glass and the dramatic metal dome roof with a 17 foot high gold leaf cross. 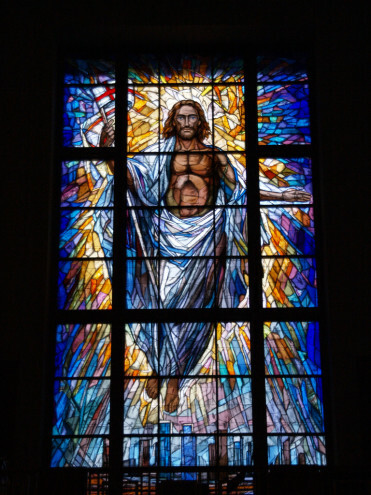 Over one hundred pieces of stained glass lined the walls of the facility, with the Clerestory windows designed and fabricated in Florence, Italy by Mellini. 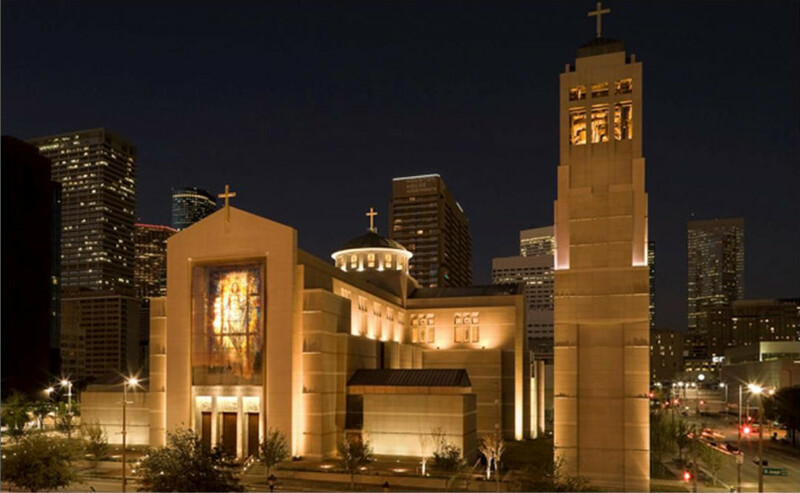 The largest, a 40 foot high depiction of Christ, overlooks the South part of downtown Houston. 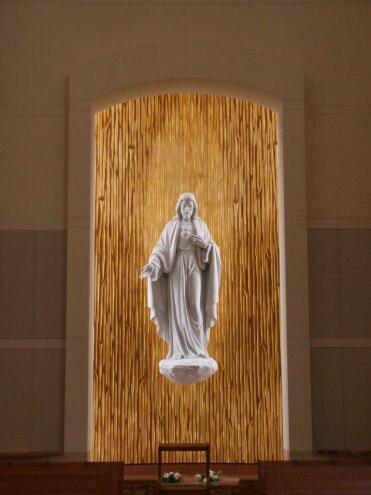 Statues of Mary of the Immaculate Conception and the Sacred Heart of Jesus stand over 12 feet tall and weigh over 12,000 pounds each. They were sculpted in Italy out of white Carrara marble and took six days to install.